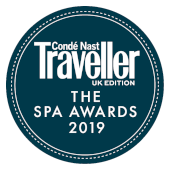 Healing Holidays, the UK’s leading independent spa and wellness specialists, are proud to sponsor the 2019 Condé Nast Traveller Spa Guide. Discover the best spa retreats, bootcamps, medical spas, yoga retreats, detox and weight-loss programmes from all around the world. We have created a number of unique and exclusive offers for Condé Nast readers to experience these fantastic spas, all you need to do is quote "Condé Nast" at the time of booking. Includes: British Airways flights, transfers, full board accommodation and all activities and treatments as per the Basic Medical programme. Exclusive Offer: Save 20% on accommodation when you complete your stay by 28th February 2019. Includes: British Airways flights, transfers and full board accommodation. Includes: Flights, transfers, breakfast, two spa treatments per day and accommodation.